Hurry up mom, we have to play before it’s Story Time. I think Cow Kitty’s Cheese with Mice would be fun. 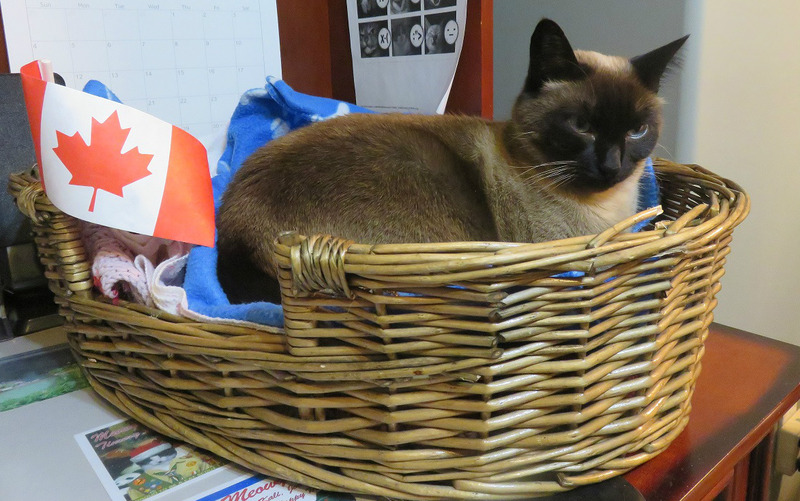 This basket on your desk is in a great place. I can watch you and everyone else that comes into my area. I haven’t played with the Cheese and Mice for years. I wonder if I still know how? Look at those mice go. Son of a mouse eater! 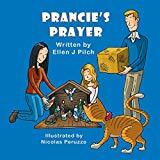 Today is Brian’s Thankful Thursday so I am very thankful mom plays with me and does most of the things I want to do. For this alone, I am a thankful Shoko. Have a super thankful day my friends. 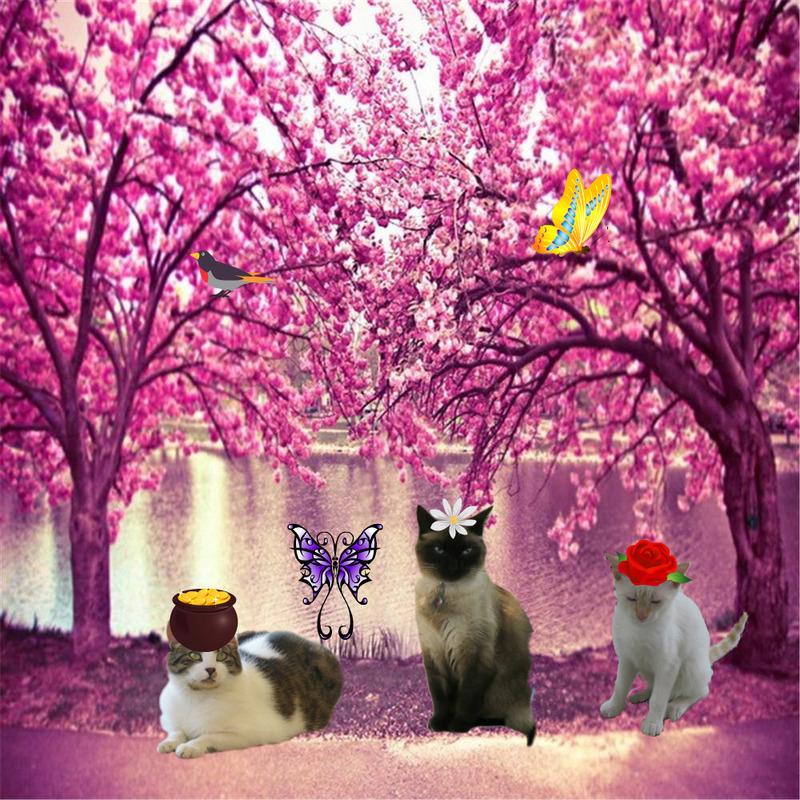 This entry was posted in Uncategorized and tagged again, basket, bed, bunny, desk, friends, hiding, mice, thankful, years on March 7, 2018 by The Canadian Cats. We haven’t played with our mouse and cheese lately either. We need to do that. It’s just like having a new toy. I forgot about this cheese and mice. Hi Shoko! It is so nice to see you out and about! And what a cool toy! A Cheese with Mice in it! It looks like it is a whole ton of fun. I too think that Moms are cool. My Mom plays with me too! She’s not Jo Jo but she runs a close second. Same here, Marv. Mom is no great fun to play with but she’s pretty good. Oh, my!! These mice stay in the cheese. Yours won’t stay in one place. Usually, after I bring in a live mouse, I play a bit but have a terrible hunger from all the exercise so go and have some food and drink and then I’m sleepy and need a nap. Funny thing the mouse isn’t here any longer when I finally look for it. They must disintegrate so I’d say go have something to eat and a snooze is a must. Voila! The mouse should be gone. that’s a funny toy… and I would love to play with you… imagine how fast we could catch that mice if we chase them together… and then we could eat da whole cheese, yay! It’s great fun. You have to be careful of those mice. They have little pokers to stick one in the face if you don’t move quickly. A very dangerous game. Shokolino, that place near mom is good, it is always good to be near mom. Nice to see you playing with mice. Hi Shoko! That looks like a super fun toy…………..I hope you and your Mom are having lots of fun together…..I know it’s very strange not having your sister there to keep you company! I’m sending you a BIG HUG. I caught the hug, Teddy and wrapped it around myself. It feels good. Play time is a wonderful reason to be thankful and that looks like fun! 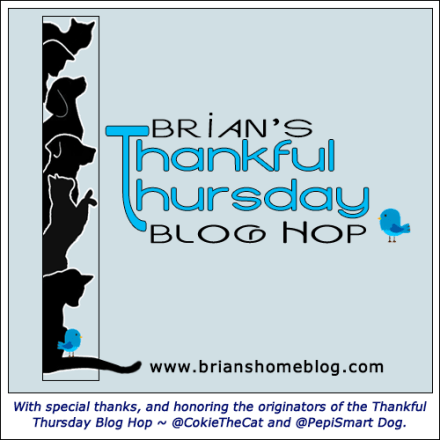 Thanks for joining the Thankful Thursday Blog Hop! What a wonderful thing to be thankful for, Shoko. Hugs to you and your mom! Hugs back at you Rachel and family. I am quite lucky. Jean/Shoko, your new header is beautifully done. And isn’t it fun to find older toys you forgot you had? And here I thought your Mom did it. That was very good of Ann. The basket does take up a fair bit of room but I like it. Now I can snoopervise what mom’s doing and add my teeth marks for a signature. Isn’t it great to have your mom wrapped around your paw? 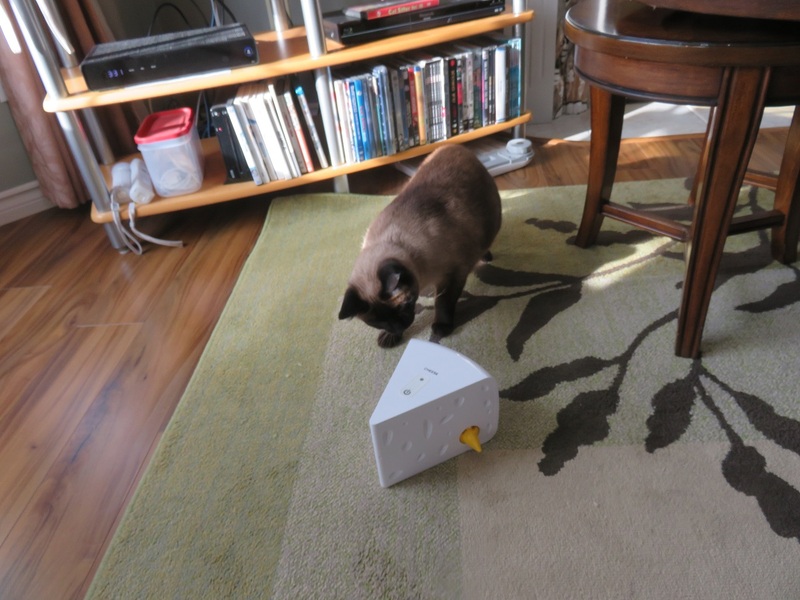 We’ve been wanting to try that toy for a while – you make it look like so much fun. 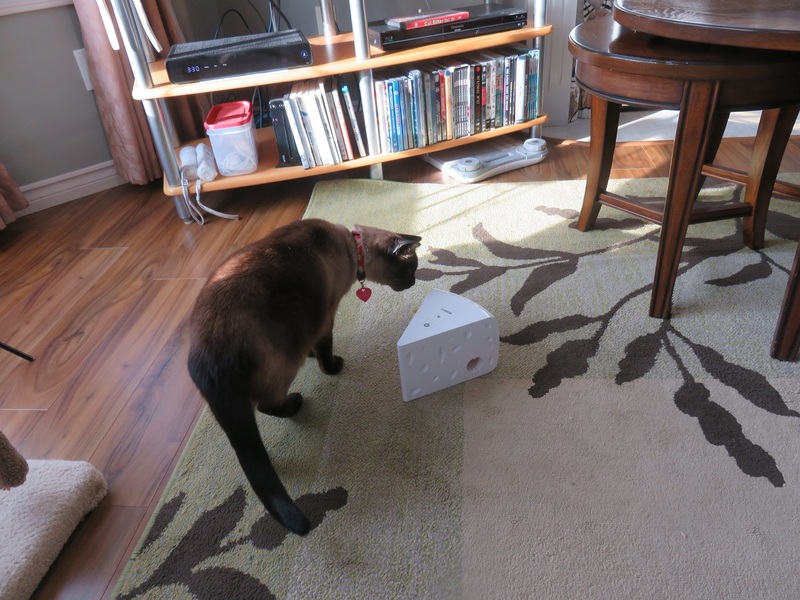 Shoko, that’s a cool toy! And hoomins usually try to be really nice to their kitties, especially when we snap photos of them all of the time! So mom has a reason why she’s nice to me? Figures! Think she still loves me. I have a reason to be nice….I want those Catnip Greenies she bought. Moms that play with their fur-kids are. the. best. 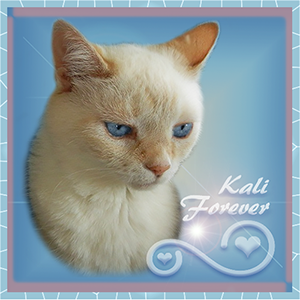 Sending kitty kisses and mom hugs to you 3 as you learn to manage daily life without precious Kali. Last week was pretty rough on us here at Fort Meezer. The support of our friends made us feel a little better during a trying time. I’ll bet you didn’t forget how to play with that toy. I’m sure of it. I’m happy your mom does what you want her to do. I’m not surprised either. when the switch is flipped but he’s SO afraid of ME; he just sets there .. I see…the little mice are so scared they can’t move. You must be like awesomely scary. 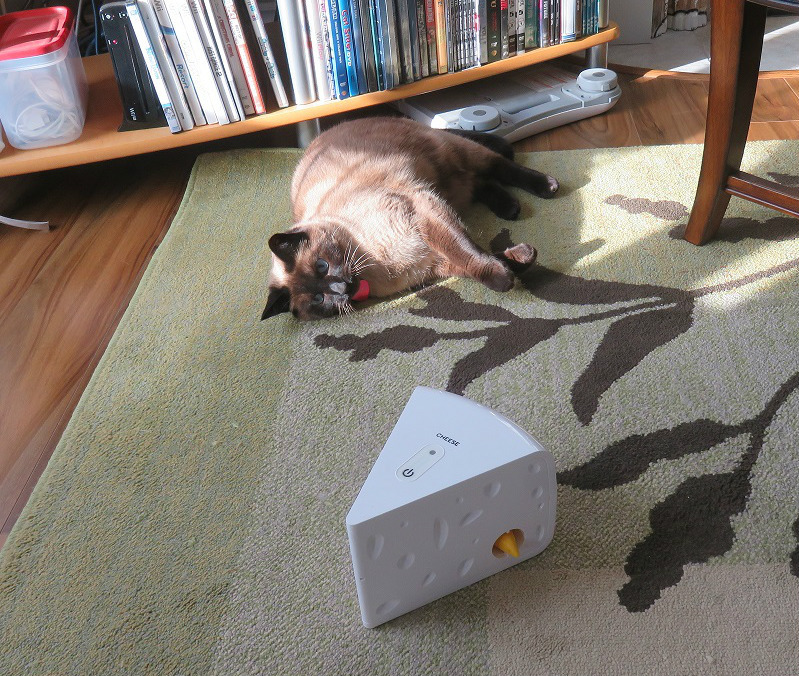 MOL…I was really happy to see my Cheese again. Between you and me, I’ve seen it now and am ready for something else. 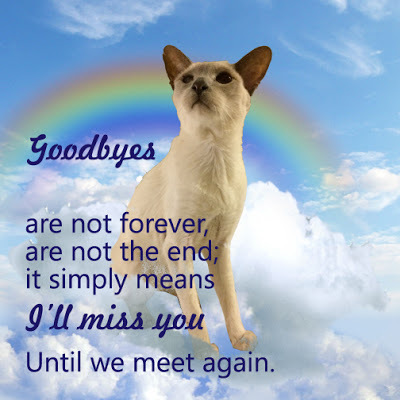 Mee iss fankull fur Angel Kali an you, Shoko fur beein mee Cuss-innss. Youss’ have helped mee so much an mee appurrciatess it! We sure are cuss-ins Dharth. I wonder if we’re hissin’ cuss-ins? We have learned from you too and are thankful for that. Why are you not eating Perform wet food anymore? You know the label from Bosely’s? Mom got some for me and I like it ok….nothing to get in a tizzy about. The beef looks grey and it’s so blended….no shape at all. 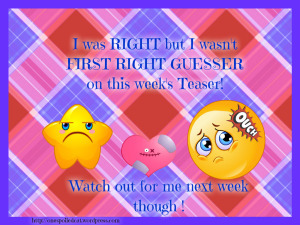 Mew mew mew Shoko mee not know what a ‘hissin’ Cuss-inn iss? Can you xplain? An mee has to have LOW FAT an LOW PROTEIN` an thee beef was too high in both Shoko…..
Mee asked LadyMum about mackyrel an shee sayss it iss BERRY stinky! mee wishes mee could try it all so…..